Only four Duelists remain! We have Jose Osores, all the way from Peru! He’s the last Trickstar Duelist remaining in the tournament. His opponent is a SPYRAL Duelist, Valente Alonso Llerenas, from right here in San Diego. Only one Duelist can move on from here to the grand finals – it’s time to Duel! 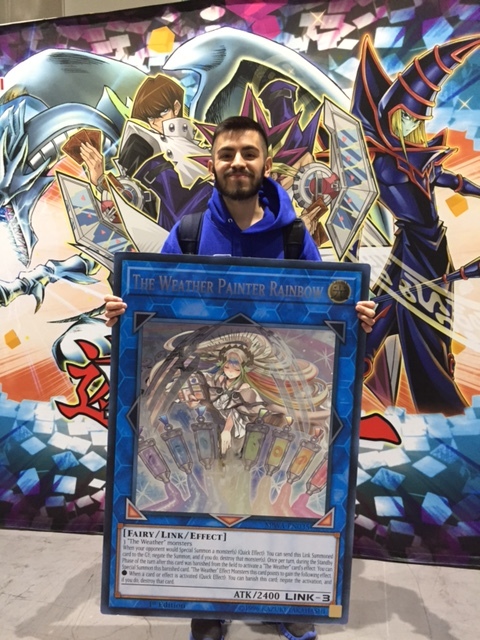 YCS San Diego is done and we have a winner! YCS San Diego: Final Pairing! Here are the last two Duelists standing! 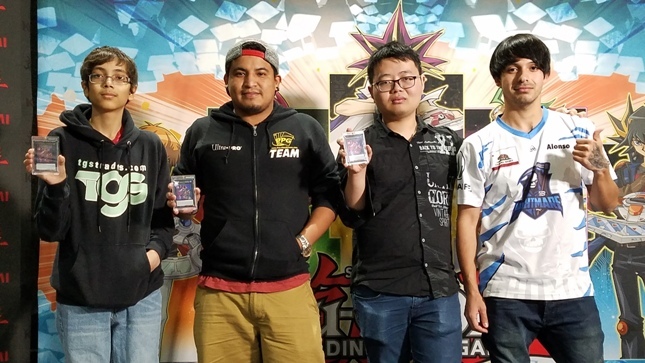 YCS San Diego: Sunday Dragon Duel Top 4! 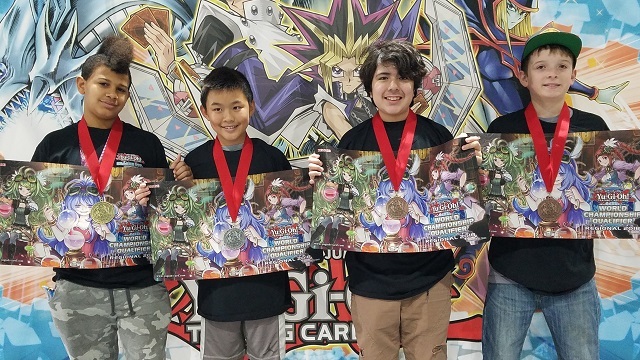 Congratulations to our Top 4 Dragon Duelists from Sunday’s tournament! From left to right, it’s Dylan Graves (1st), Tai Nguyen (2nd), Diego Diaz (3rd), and Charles Welsh (4th). 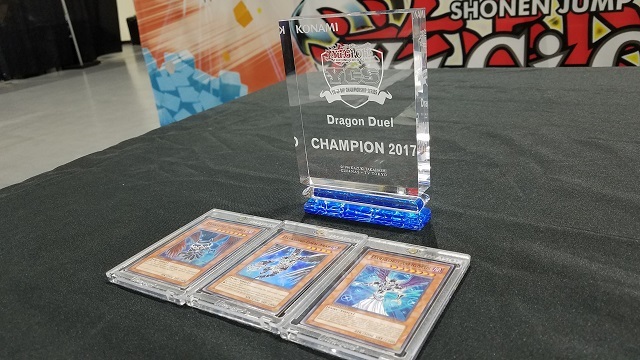 Congratulations, Dragon Duelists! 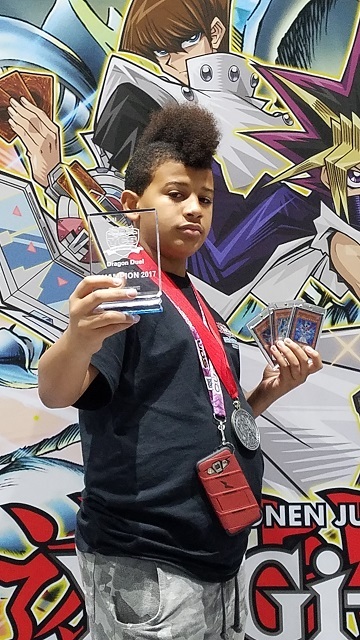 Dylan will be facing off against yesterday’s winner for the title of YCS San Diego Dragon Duel Champion. That means he has to face Dawson Graves, his own brother! Congratulations to the winner of the Sunday ATTACK OF THE GIANT CARD!! Jorge Sosa from Dallas, TX used his ABC with Heavy Mech Support Armor to take out the competition and take home a GIANT The Weather Painter Rainbow. Here are your final four Duelists! Here are the pairings for the Top 8 of YCS San Diego.